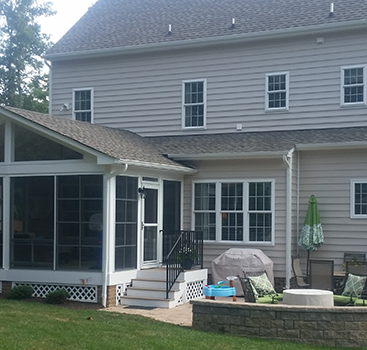 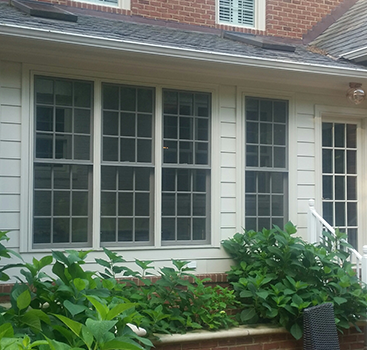 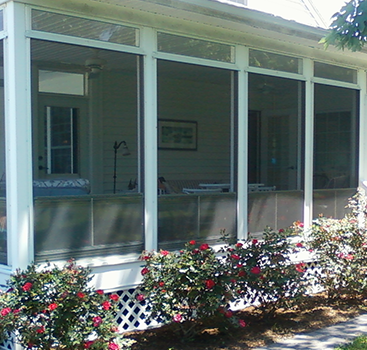 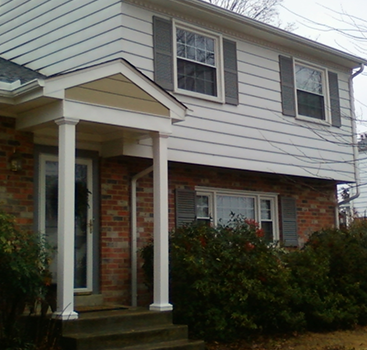 Low maintenance traditional style screened porch with a hipped roof and soffit overhang on 3 sides. 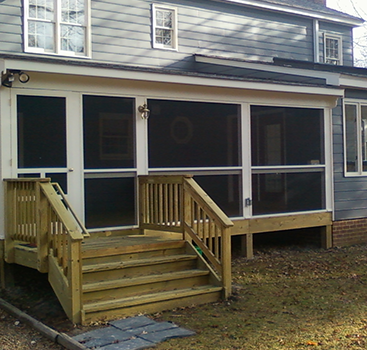 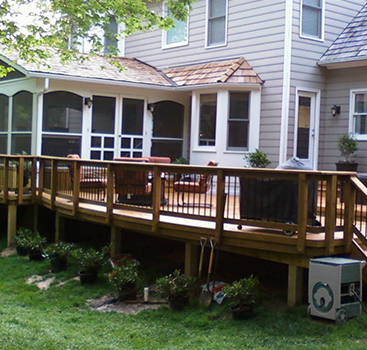 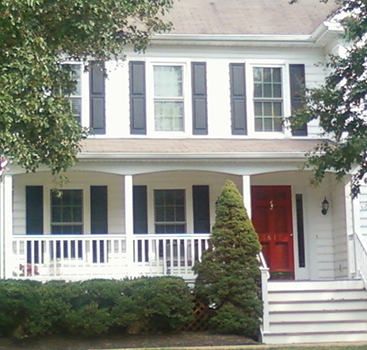 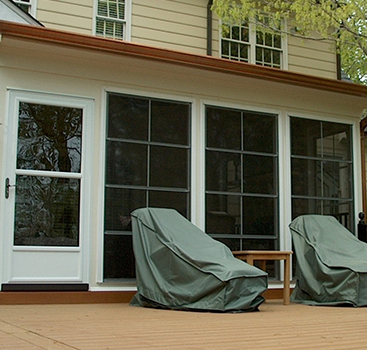 The porch has vinyl sleeves on the support columns and vinyl rails. 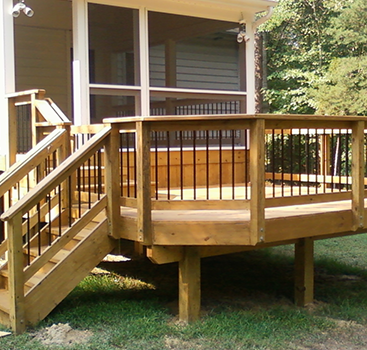 The floor, steps, and lattice are all pressure treated. 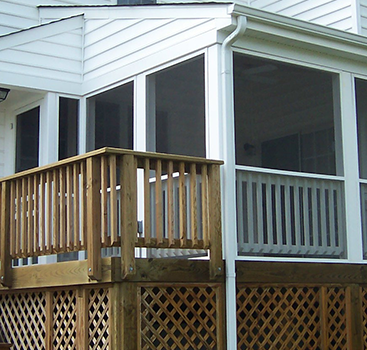 This porch was built for Mr. Paul DiPasquale, an artist who designed and built the King Neptune bronze statue on the boardwalk in Virginia Beach, VA.